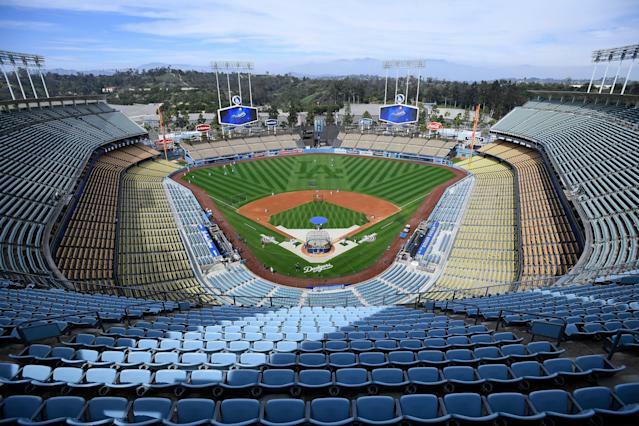 A Los Angeles Dodgers fan is suing the team for $2 million after he claims security guards at the stadium beat him during a game last season, according to the Los Angeles Times. The fan, 31-year-old Daniel Antunez, was at a game last season when a member of his group was asked to leave after accidentally spilling beer on a fan. Security escorted the woman out of the park, and Antunez accompanied her. On the way, Antunez had to use the bathroom. At that point, he claims he was grabbed and thrown to the ground by security guards. Cell phone video and security footage shows guards grabbing Antunez. During the fray, Antunez reportedly broke his ankle, according to the Times. Antunez ended up with bruises and a fractured ankle in the scuffle. He eventually was handcuffed and taken from the stadium in a wheelchair. Several screws were implanted in his ankle to repair the break, his attorney, Peter diDonato, said Wednesday. That, and the emotional abuse, led to Antunez suing the team for $2 million. The Dodgers have had issues with their security for a few seasons now. In 2011, a San Francisco Giants fan named Bryan Stow was beaten outside Dodger Stadium. The team was found 25 percent liable due to inadequate security at the stadium. The team paid $18 million to Stow and his family. Earlier this season, 45-year-old fan Rafael Reyna was beaten in the parking lot. Reyna fractured his skull and fell into a coma. Reyna’s family has hired a civil rights and personal injury attorney. Antunez is a Dodgers fan, but said the incident has him reconsidering his fandom.